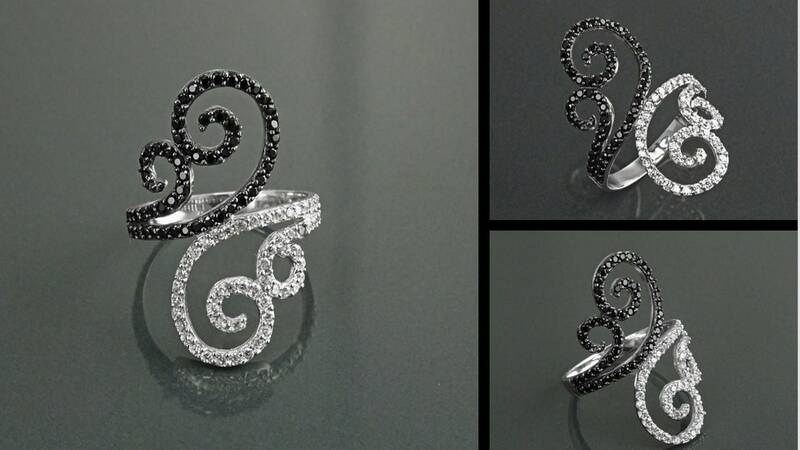 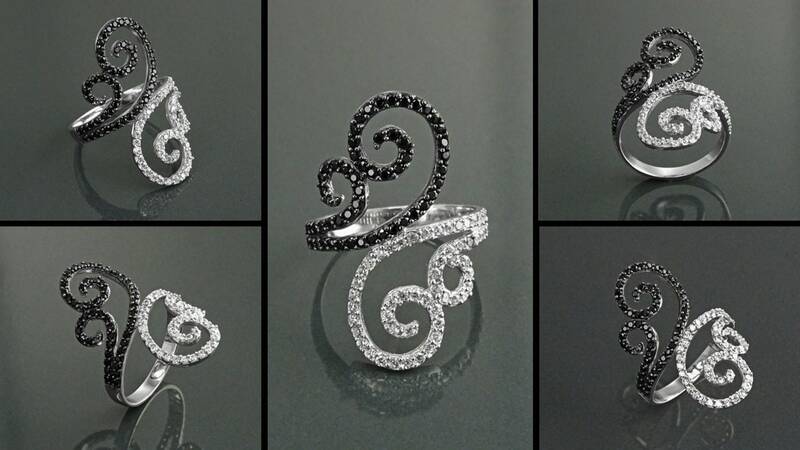 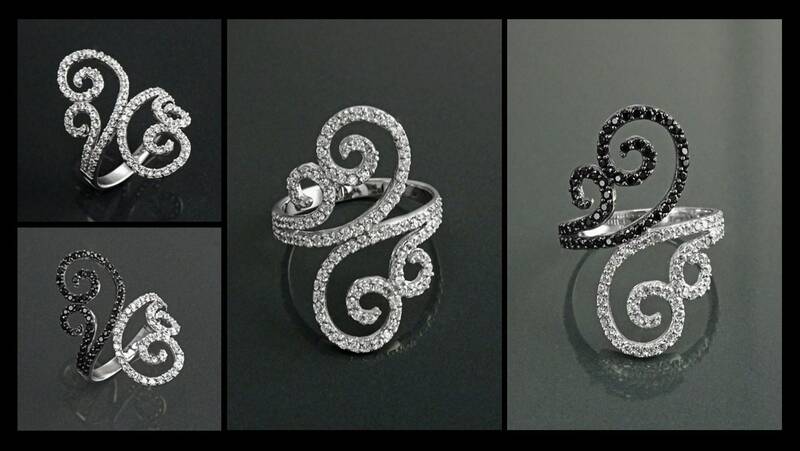 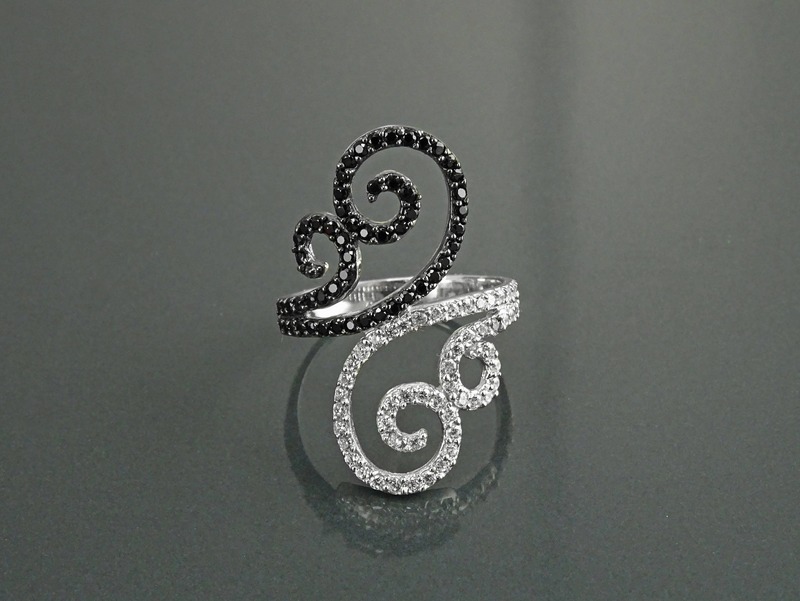 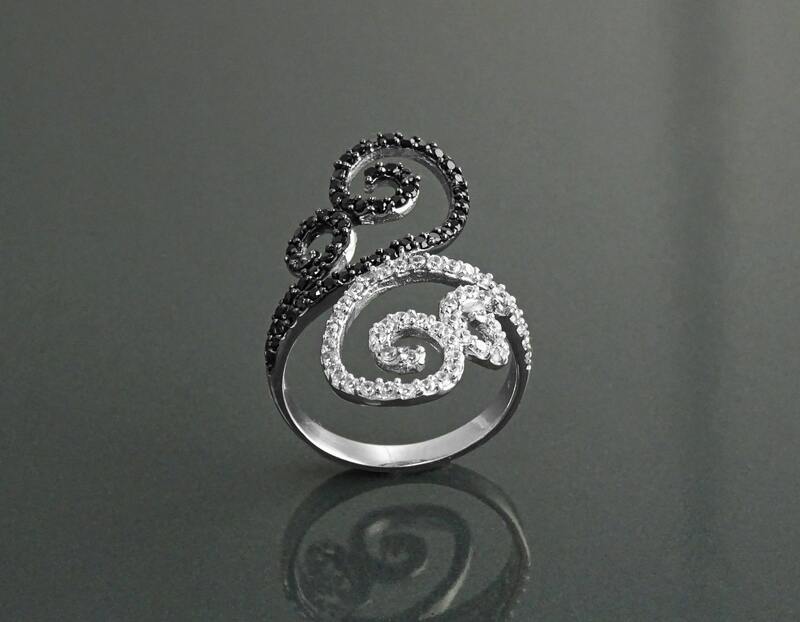 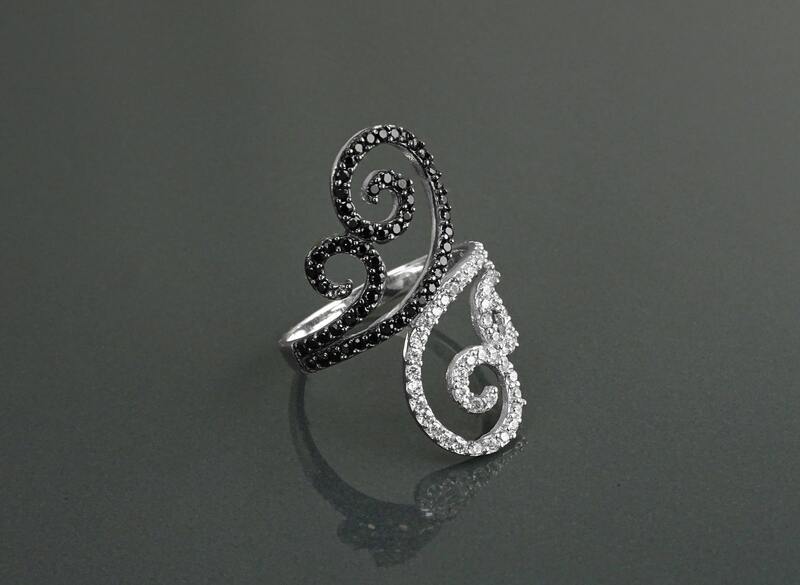 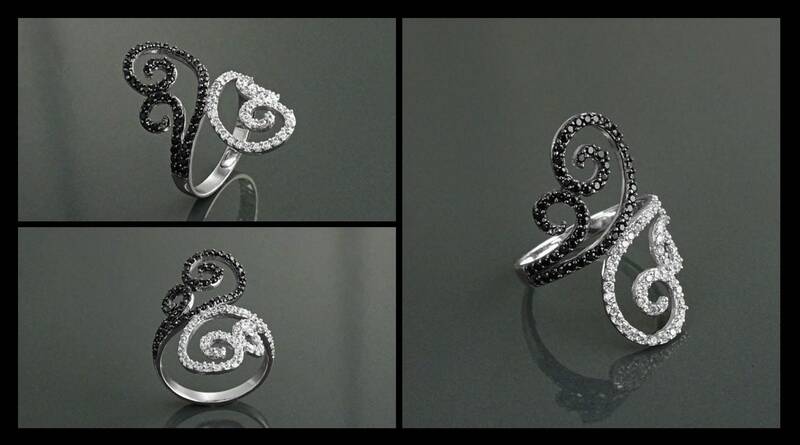 Chic and Design, this Sterling Silver Black and White Spirals Ring is set with Black and White Lab Diamonds simulant (CZ) in a wonderful Bright Reflection. 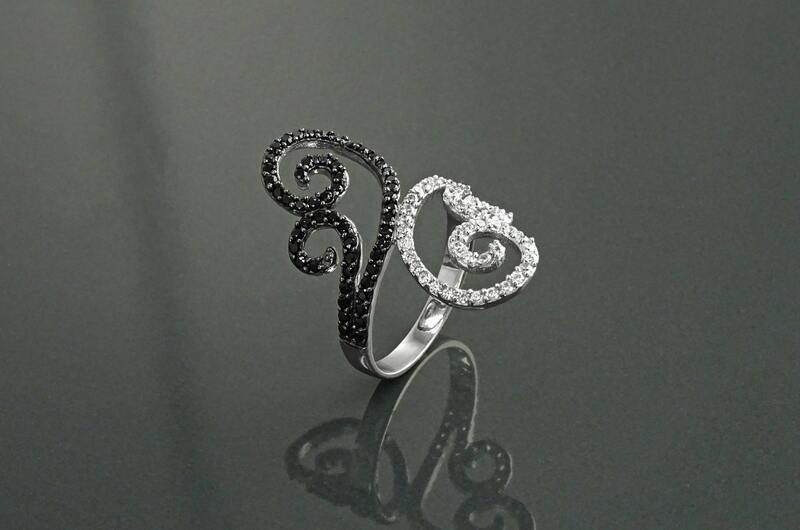 The two Bypass Double Spirals, is symbol of Harmony. 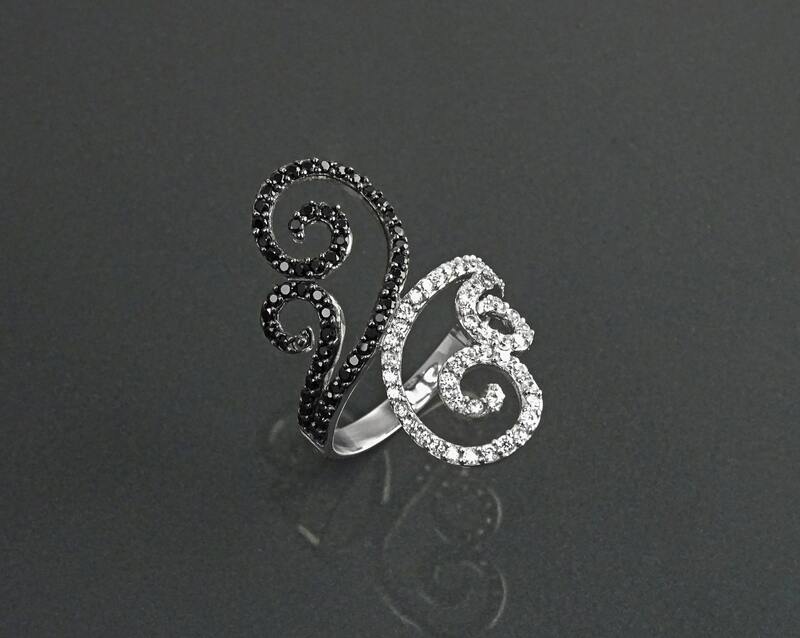 A great Ring on every occasion. 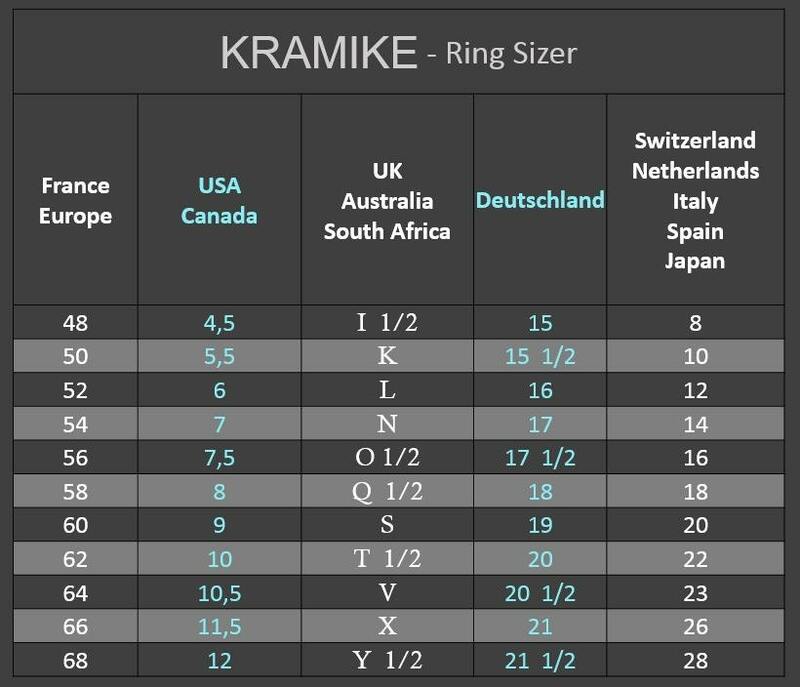 Average silver weight : 3.4 gr.